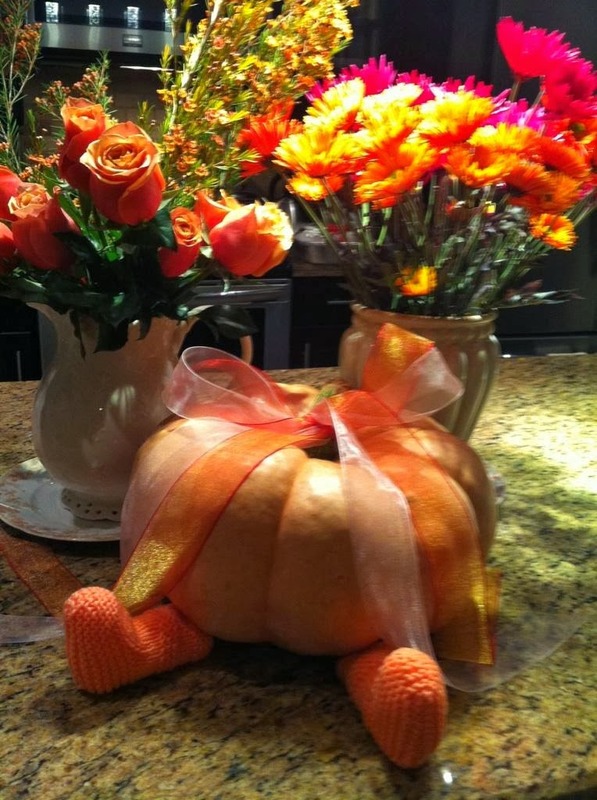 Two weeks ago I blogged about "Designer Coloured" pumpkins, and a new find - pink pumpkins! You can see the post here. I was with my designer friend, Vicki, when we found these beauties in a local grocery store. Being the very fabulously creative person she is, she used her pink pumpkin as a centerpiece for a party to celebrate the arrival of a new baby girl ( her grand niece) into the family. With the addition of a pretty pink organza ribbon and little pink booties, this fall icon is a special touch to welcome a new little 'pumpkin' to the world.